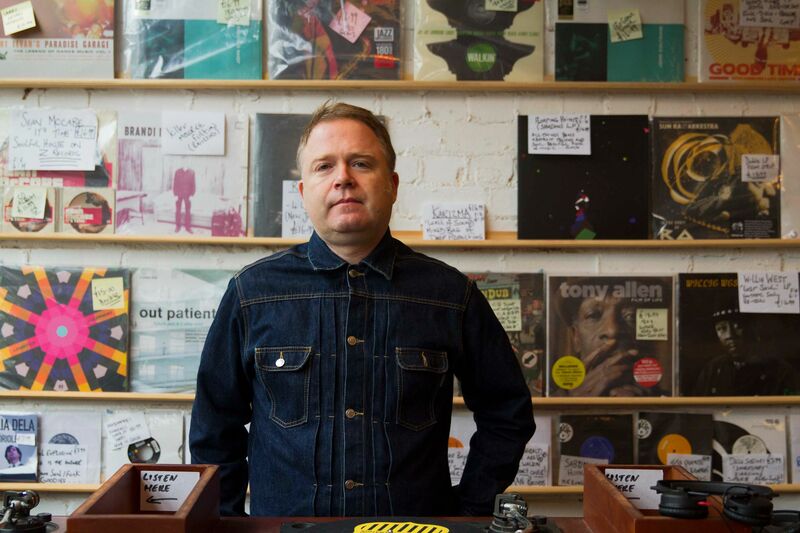 The run up to music promoter and DJ Stuart Patterson’s involvement with Love Vinyl, a 6-month old independent record store in Hoxton, London, has been a long and arduous one. 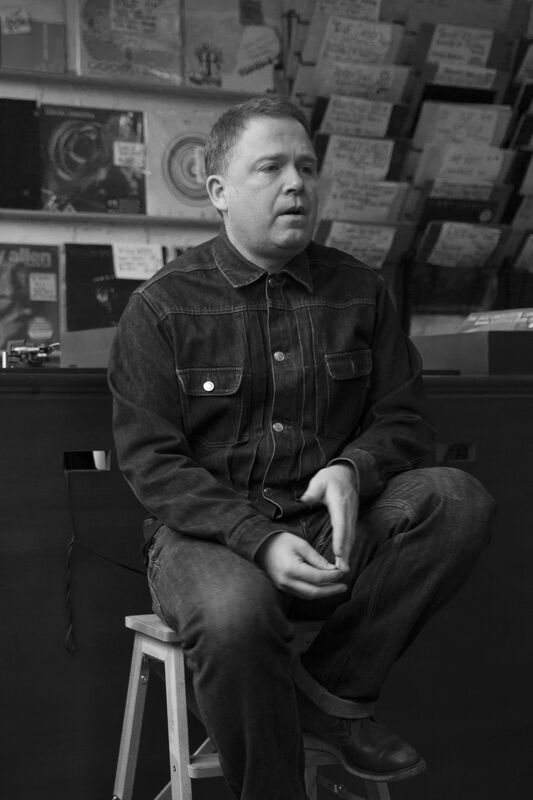 His career as a DJ kicked off in the 1990s, playing gigs across London, creating his own record label Transfusion and then starting his Soulsonic clubnights at Subterranea, Ladbroke Grove in 1998. The popularity of which, as well as a compilation for the record label Barely Breaking Even (BBE), lead to Patterson getting bookings all over the world. 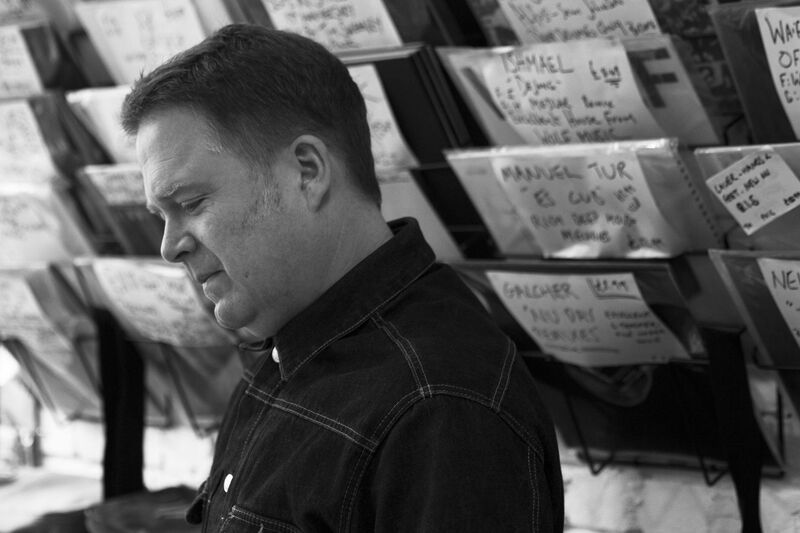 Shortly after Patterson had finished with Soulsonic, DJ Terry Farley approached Patterson (along with Bill Brewster and Dave Jarvis) with the interest to start a new clubnight and fanzine called Faith. The night became London’s most renowned for the early-2000s. On from that, Patterson opened the club East Village in Shoreditch in 2007, which closed last year. 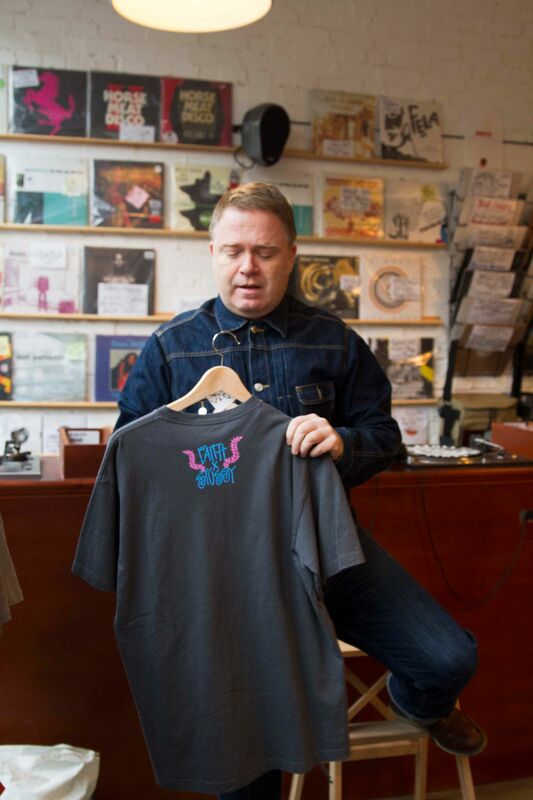 He then opened Love Vinyl – which offers a selection of old and new records, as well as hosting a series of in-store DJ sets – with fellow DJ James Manero and vintage record dealers Zafar Chowdhry and Jake Holloway. 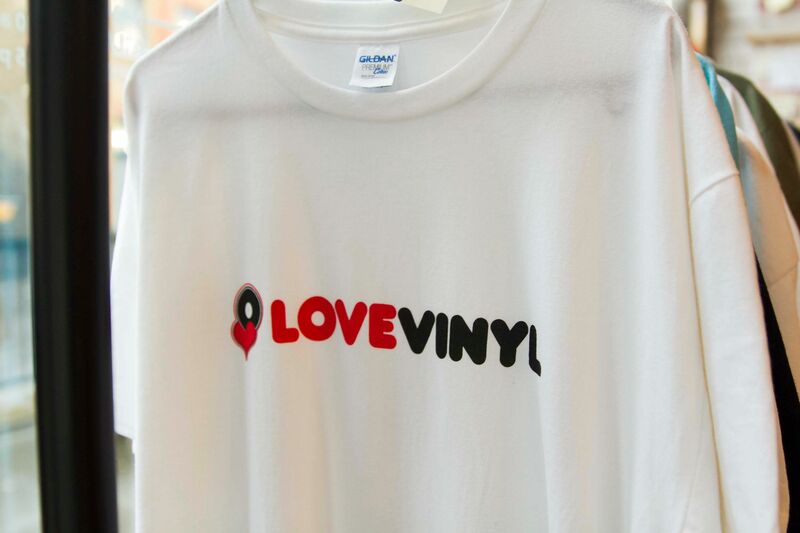 As a DJ, what made you want to start Love Vinyl? 100% music. It’s not a business move. Everyone knows record stores are lethal for losing money or making no money and I’ve had friends that have had them and have had hard times. But if you do it properly you can survive. As much as it’s not fully motivated by profit, you can’t be daft enough to spend the time and the money, without the thought that you can make a little. The main motivation for me was to be surrounded by music as I get older. It’s my passion, I love it and I’ve always been lucky enough to earn a living out of it. The older you get you don’t want to be having to think, I’ve got to go do gigs every Friday and Saturday night to survive. So hopefully the shop, in time, will start showing a little bit of profit that can then mean I don’t have to go DJing at 5am when I’m 50. For me, it’s a long-term view but completely based on music. So it’s about building a base for yourself? Yeah, exactly. The brand is really solid already but it’s also a base that sells good records. If we just go, it’s a record shop. It could be game over. In what sort of climate do you feel you’ve opened this independent store? It’s not easy, it never really was. Maybe in the heyday it was. In the late 1980s, when I started buying vinyl there was the whole sort of rare groove, hip hop and pre-house boom, I think a few record shops did very well. You could just tell when you went in them. These record shops were just so rude. You can’t do that now because every customer is just so valuable. But, because you couldn’t get music digitally, certain shops had certain records so they were very protective about them. There was a real snob factor about certain London record shops. The climate’s better now because there are more small labels who only feel they’re a proper label if they release on vinyl. The younger generations who are starting now are interested in it – and there was a certain time when vinyl was just no chance. I’d of never of done it just as a new record store, there’s a big interest in vintage vinyl as well. So that was why we were like, this could work if we share it. Both sides feed off each other. The climates better than it was a few years ago but it’s not easy because you’ve got the digital option. It’s not like we’re the only place you can find the music. While there’s this resurgence of vinyl, it’s still the smallest market share in music. Hopefully in five years, we’ll be saying it’s a good move because vinyl needs to stay in the sales it’s at now for us to survive. If it goes backwards it won’t survive, if it goes up we’ll do ok.
Do you think that snobbery, that you mentioned before, has gone now and created an open mindedness in people’s music tastes? I think so, which is great. I mean I always have. What we stock in here is across the board. You can get a rock fan or a pop fan come in and go, this is really niche. We’re not the biggest shop but we pride ourselves on having a decent cross-section of music. Even when our store is teaming with people, all our staff will be very welcoming. They’re knowledgeable people and enjoy talking about music. I don’t get it when you have grumpy people working in record stores who don’t want to be there and talk about music. It’s like, well why do you want to work in a record shop when that’s what it’s all about. You’re not going to be getting paid a lot, so you have to have a general passion. I think some DJs maybe see it as a footstep to a burgeoning DJ career but I think we’re all beyond that and have done that. We want to pass on our taste and, if we don’t like it, it doesn’t mean it’s not good it’s just our personal taste. 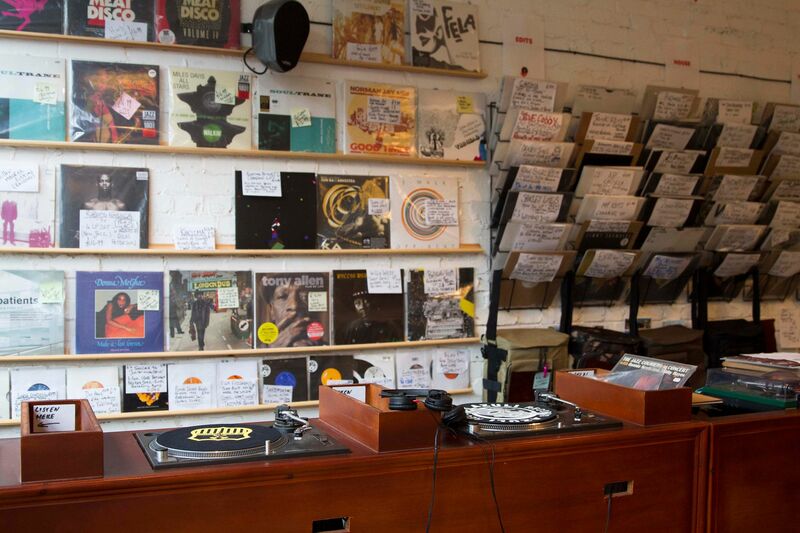 It’s interesting that you say a DJ might use a record store as a stepping stone when you’ve done it in reverse. It is, and I think it gives you a good outlook and attitude on things. You’ve been on the other side of the counter and seen the snobbery, as well as been in record shops where you’re known and their friendly. You realise you need to treat people the same. Be it a superstar DJ or a young kid who might ask for some obvious tunes and think they’re amazing, when you’ve probably heard them a 1000 times, you need to forget that and just appreciate their appreciation. How do you approach buying and selecting records? I mean we’re fed by distributors, and there’s a lot of distributors out there, but for me, I’m the main buyer for the new side. It’s purely a time thing, and I think we have a great selection of music but if we had more hours, we’d have an even better selection, though we don’t miss out on a lot. The general process is, you’ll get a distributor’s list every week and you’ll try and listen to every record on there. But you can’t. Maybe some of the bigger record stores have someone who can sit there and listen to every record from every distributor and that’s their job but we haven’t got the capacity. We’re just not doing that amount of business but we can still narrow the list down to around a decent number of new releases a week. It’s a time consuming thing but, like any industry, the more time you can research and spend doing that the better your business or product’s going to be. You also start to get led by your customers. If there’s a record that you don’t particularly want but your customers keep coming in and asking for it, we’ve got to stock the label. It can just be, that’s what we like. What was it about this area that you liked? I live around here. I was approached by James (Manero) who’d put the tender in on the shop and said, who wants to get involved? My first reaction was no, then I thought about it more. 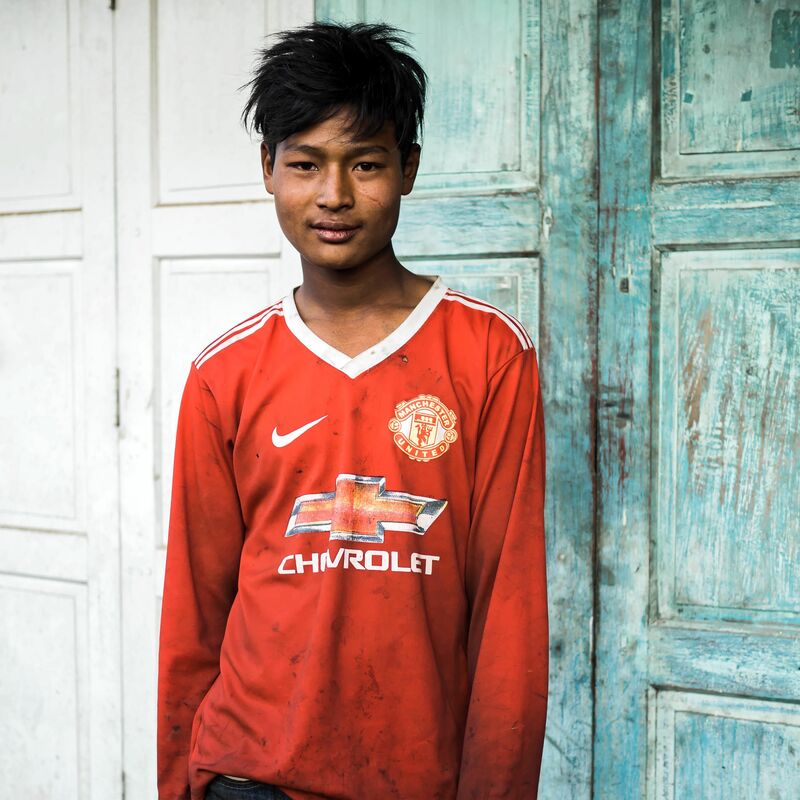 It’s on a backstreet but the rent justifies that, so we’ve got breathing space. It’s just off Kingsland Road, two minutes from Hoxton Overground and a five-minute walk from Shoreditch, which people still see as capital of the universe. For me, it’s a strong location. It’s far from the end of its cycle; it’s only half way round because there are loads of new things still opening here. We’re not going to be the last people starting a new business around here. Could you speak about playing in the 1990s and the clubnight that you started then? A quick run through. I started going to clubs in London in the mid-to-late 1980s and getting the bug. Where I used to live, there was nothing on and, as with many people from the boroughs and the shires, I was like, we should put our own party on. So I was buying records, and the first time I ever DJ’d, I DJ’d terribly. There was no mixing. The first time I went on Technics was at an event and it was packed. It was ridiculous and I wasn’t even a proper DJ for five or six years after that. The big move for me was coming to London. Then it was trying to promote in London and having a nightmare but slowly getting better. You know, one in four events worked then it was one in two and they virtually all started working. That was just getting to know more and more people. When things were starting to go really well was when we started doing Subterranea in West London every Saturday night. It was a house night called Soulsonic at the end of the 1990s. It was kind of at the end of all this super club, glam-clubbing thing. We did something against that, we were sneering at it all and I think people liked that. The venue was a big club and we had people like Kerri Chandler and Paul Trouble Anderson (featured in Jocks&Nerds Issue 11), Terry Farley (who played at Jocks&Nerds’s first AMP clubnight), Ken Hawkes and Luke Solomon as guests, and it was popular. We would have 500 people every week. Then I started doing the Social every Thursday. From that Terry approached me, a guy called Bill Brewster, who runs Lowlife, and Dave Jarvis who works for me here, to do another night called Faith. It became much bigger than Soulsonic and probably, and this sounds a bit arrogant, for a few years it was London’s leading clubnight. We’d sell out parties at the drop of a hat. Faith was also a fanzine that was really popular as well. Terry always wanted to do the fanzine because he did the Boy's Own fanzine. He was like, do the fanzine and do some parties. On from that, I went on to open my own bar in Harlesden and the East Village club. As a DJ, if you’re not getting work, go and put your own nights on. It’s not an easy job but that was it for me. I always had that promoter angle and then I released a couple of compilations, one on BBE – a label that we all love here at the shop. It just kind of evolves and people start offering you work. For a few years, I was either on the M1 on a Saturday night or on a plane. After 10 years of making money as a DJ, I kind of thought, Jesus do I want to be relying on that when I’m 40? I’m well into my 40s now and enjoy DJing more than ever but it’s because I’m not relying on it as my only source of income. It’s because of that, I’m doing it as a pure joy. Do you feel with stuff like Soulsonic, that it’s quite a personal thing for you to build a base and bring people together? Yeah I think that with clubs, and there certainly was that in the 1990s, there’s too much emphasis on brands, which people are trying too hard to push. You want people to buy into something that’s a little more than a good night out but also something a little bit different and something regular. With this, you start to build up regular custom. We’ve always done our own nights and we’ll always have a core of people that we know. That’s how the best nights work. You don’t want a club of randoms, which doesn’t always make for the best atmosphere. When we do bigger events, that are less regular, you’ll get a lot of the older crowd who have come down through the years. We’ve always done T-shirts too. We’ve got an old Stussy x Faith T-shirt left here – we had a Stussy hookup for a few years. It’s also 15 years of Faith this year, so we’re going to do a couple of parties; the Boat Party in London and the Garden Festival in Croatia – it’s also the 10th anniversary of that and is the last one. I mean it all still goes along, so be it very sporadically. Stuart Patterson, along with a selection of guests, will be performing at Jocks&Nerds and Love Vinyl’s Xmas Special clubnight at Blueberry, 2-4 Paul Street, London EC2A 4JH on 13 December.